DIY Mason Jar Wall Garden - Contributor Post! | Averie Lane: DIY Mason Jar Wall Garden - Contributor Post! DIY Mason Jar Wall Garden - Contributor Post! There has been a bit of radio silence here this week, but that's only because I have BIG things in the works!! I'm 75% complete on a mini laundry makeover - (follow me on Instagram for behind the scene footage!) AND I am putting the finishing touches on the big reveal for the One Room Challenge Reveal TOMORROW! See crazy, right!? It's also your lucky day because you can find me over at Kleinworth & Co (a fellow Idaho blogger!) for my first contributor post! 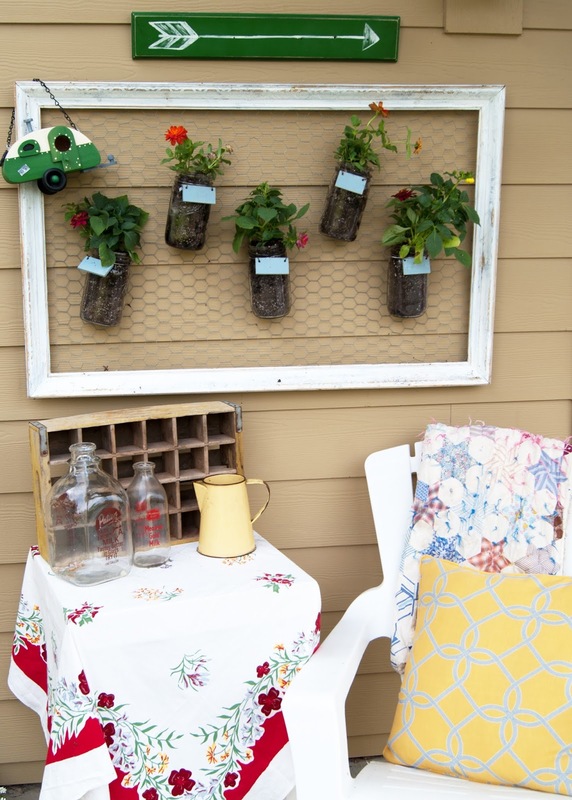 Stop by and check it out and get the full tutorial on how to make this.... DIY Mason Jar Wall Garden!